Thus, McKay said the greatest threat to missionary work in 1966 was Communism. At the time, Communist governments did not allow missionaries or even Church materials into their countries. McKay's assessment was well grounded. But what about today, half a century later? Communism, discredited "throughout the world," would no longer be the greatest threat to missionary work. So what is that threat today? The People's Republic of China (PRC) has existed since 1949 when it was founded by the Communist Party of China, the country's sole governing political party. The reader is invited to visit the LDS Church's "Newsroom" and view "Facts and Statistics" for a few of the countries of the world. The chart below shows "Newsroom" statistics for China and two of its neighbors. "Online proselyting should not cross international borders into countries where the Church has chosen or agreed not to proselyte. This currently includes the People's Republic of China." (Official LDS web page, Mormons and China). Today, nearly 1.4 billion people live in the People's Republic of China, approximately 20 percent of the world’s population. 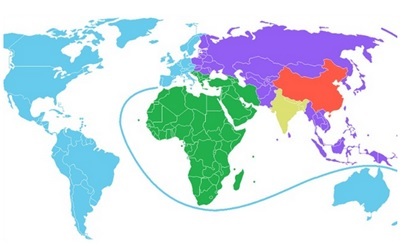 In order to illustrate what it means for one country to have one-fifth of the world’s population, this map divides the world into five regions, each with the same population as China. Source: The Atlantic, Aug. 14, 2013. In 1966, Communism prevented the Church from reaching a large percentage of God's mortal children. At that time, President David O. McKay identified Communism as the greatest threat to the spread of God's work among men that existed on the face of the earth. Today, one in five of earth's inhabitants live where missionary work is prohibited by Communism. It seems clear to me that McKay's 1966 assessment of Communism's effect on missionary work is still valid. And it also seems clear to me that the demise of Communism throughout the world is a Prince and Wright myth. 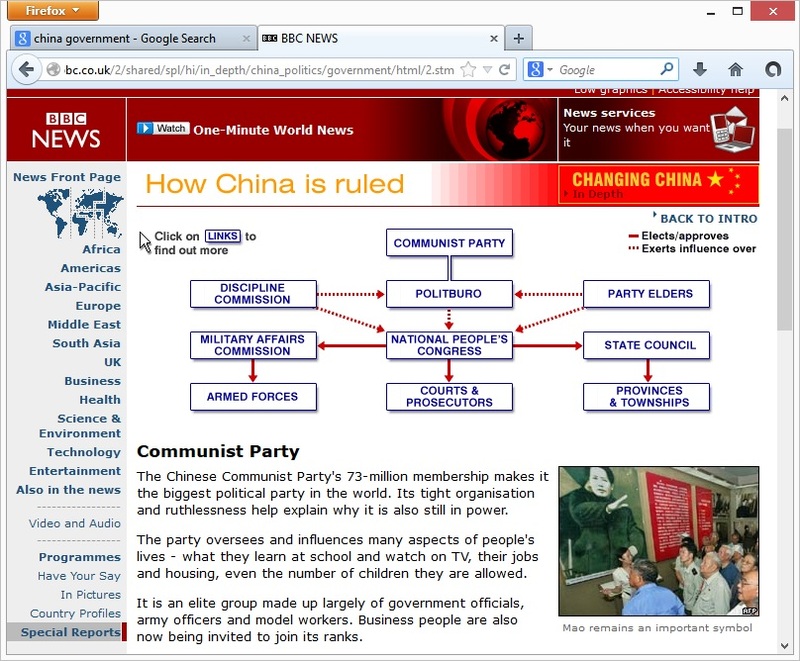 The image below was added on 2014-11-29 in response to an anonymous comment claiming that "China is categorically no longer a communist country." Anonymous might want to share that critical piece of news with BBC News (among others). Steven Montgomery: I moved your comment to last month's post on civil rights where I feel it is more to the point. Thanks. Since communism is, unfortunately, stil alive in this country, I believe the following Church statement from 1936 is still relevant today. With great regret we learn from credible sources, governmental and others, that a few Church members are joining directly or indirectly, the Communists and are taking part in their activities. But Communism is not a political party nor a political plan under the Constitution; it is a system of government that is the opposite of our Constitutional government, and it would be necessary to destroy our government before Communism could be set up in the United States. Since Communism, established, would destroy our American Constitutional government, to support Communism is treasonable to our free institutions, and no patriotic American citizen may become either a Communist or supporter of Communism. To our Church members we say: Communism is not the United Order, and bears only the most superficial resemblance thereto; Communism is based upon intolerance and force, the United Order upon love and freedom of conscience and action; Communism involves forceful despoliation and confiscation, the United Order voluntary consecration and sacrifice. Communists cannot establish the United Order, nor will Communism bring it about. The United Order will be established by the Lord in His own due time and in accordance with the regular prescribed order of the Church. Furthermore, it is charged by universal report, which is not successfully contradicted or disproved, that Communism undertakes to control, if not indeed to proscribe the religious life of the people living within its jurisdiction, and that it even reaches its hand into the sanctity of the family circle itself, disrupting the normal relationship of parent and child, all in a manner unknown and unsanctioned under the Constitutional guarantees under which we in America live. Such interference would be contrary to the fundamental precepts of the Gospel and to the teachings and order of the Church. Communism being thus hostile to loyal American citizenship and incompatible with true Church membership, of necessity no loyal American citizen and no faithful Church member can be a Communist. Jacob: Excellent point. Thank you.